Flickr plugin still broken. Photos are here. 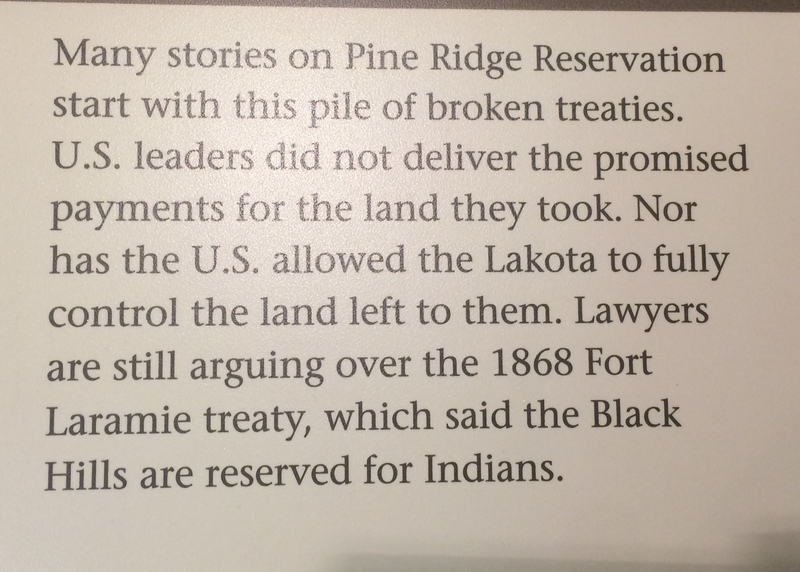 I think part of the problem with the Native American history is similar to that of slavery – even prior to the recent conversations about memorials. Holocaust, Pearl Harbor, 9/11, the person to blame is “other”. Nazi Germany, Japan, Al Qaeda terrorists. 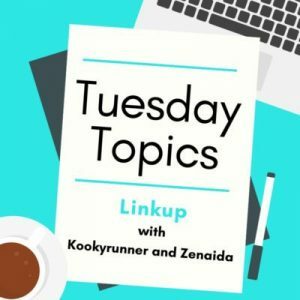 Civil War, Native American issues such as Trail of Tears and Wounded Knee? Mirror time. Maybe that’s why not as many people do Oklahoma City and Hiroshima/Nagasaki – it’s uncomfortable. 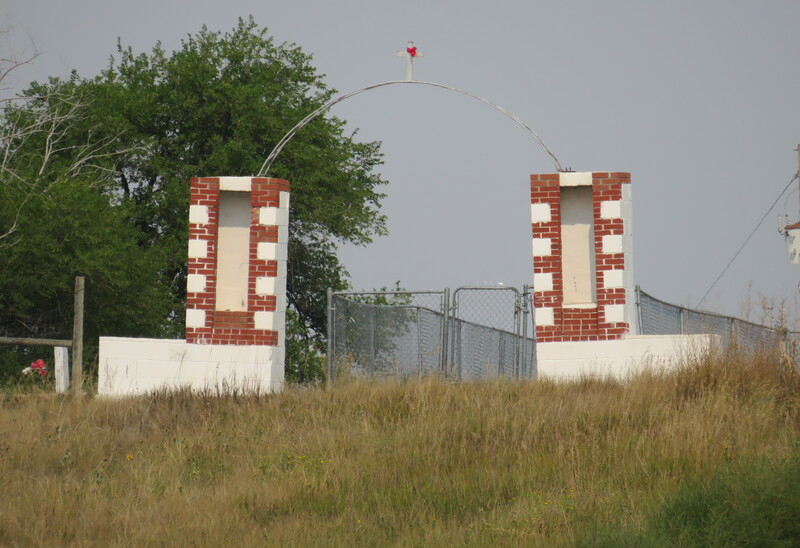 Wounded Knee is about a 90 minute-two hour drive from Rapid City depending on how long you spend at the White River Visitor Center. 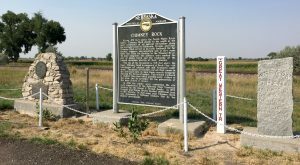 I think that’s a mandatory stop to understand the underlying issues before you tackle Wounded Knee (and the Oregon Trail – or after the Oregon Trail if you’re headed north). 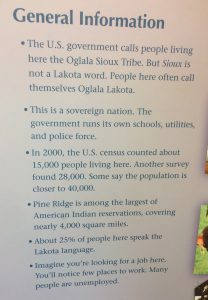 The White River Visitor Center is co managed by the National Parks and the Oglala Lakota, with a tribal interpreter there when available. It’s when I first started thinking about and regretted skipping Fort Laramie. For me – and I’m sure many other people who haven’t travelled out this way, all I knew about the Sioux was from Dances with Wolves. 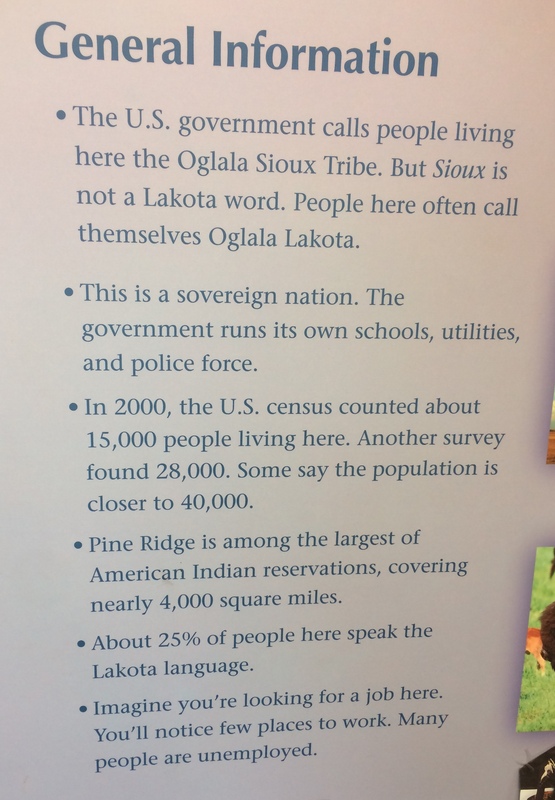 I certainly didn’t know that it wasn’t what the Lakota preferred to call themselves, although I was aware of the poverty issues across reservations. 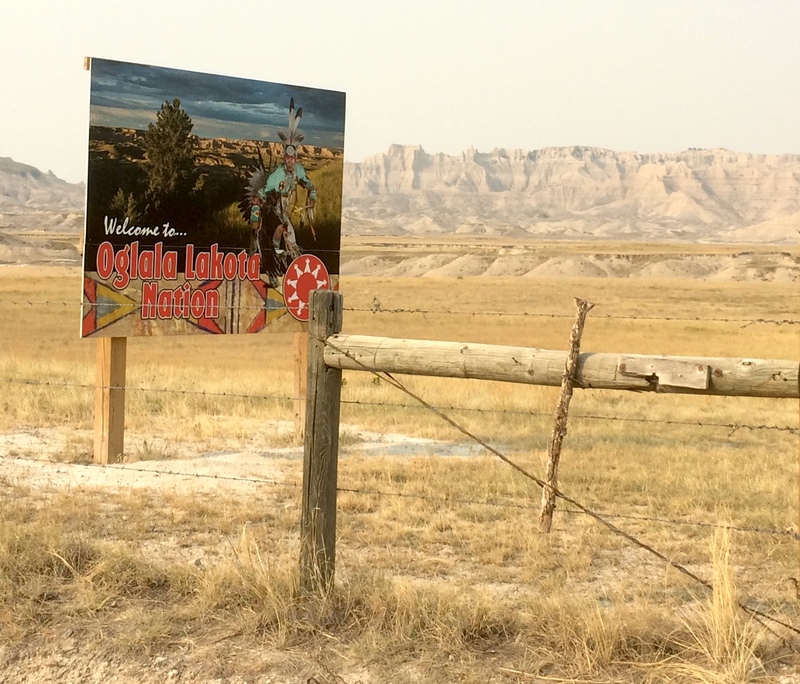 Driving through Pine Ridge certainly brings that home – you see the lack of industry and employment opportunities. 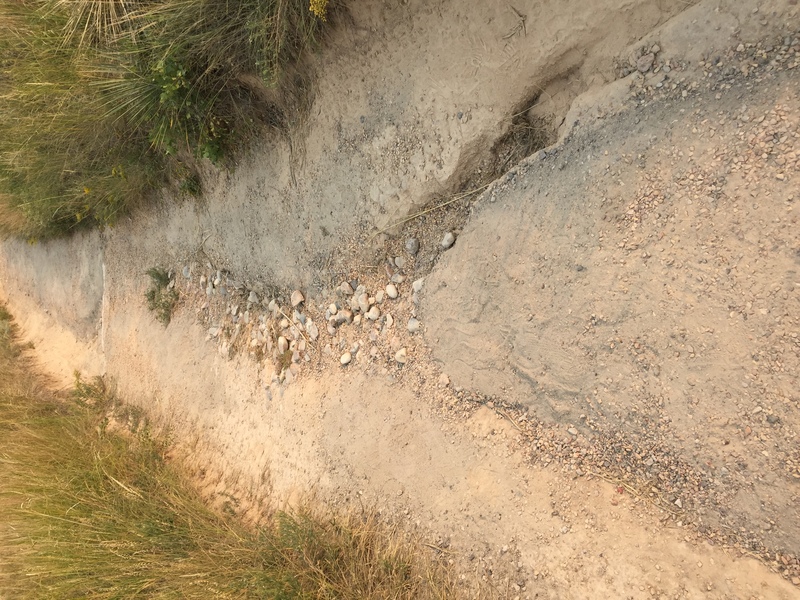 After stopping for about half an hour at White River, I continued my drive south to Wounded Knee. I’d read the conflicting advice and reviews prior, but decided I still wanted to stop. The Ranger at White River told me they drew fewer than ten people a day, on average, and that’s sad as it’s literally on the road. Granted not a well traveled road, but it’s not like there’s another easy way through this area. I had the words of Stephen Vincent Benet on the brain for much of this trip even though they have nothing to do with the site itself. I had the best laid plans of reading Dee Brown’s Bury My Heart at Wounded Knee and Rinker Buck’s The Oregon Trail: A New American Journey (and was lamenting owning that on Kindle and not in hard copy for a photo with the trail ruts, but alas print copy font is too small!) on this trip, but there just wasn’t the reading time. 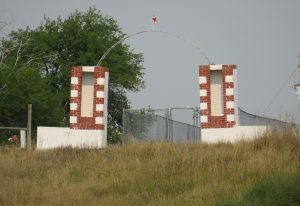 The cemetery is just across the road from the parking lot that overlooks the site of the Massacre itself. It’s free, there’s a large parking not and I was the second visitor of the day per the person manning the small info desk. That’s just heartbreaking. There isn’t a lot to see there right now, but the sign and adjacent kiosks with information are a good place to rest and reflect. The museum is closed, although there’s supposed to be one in Wall. 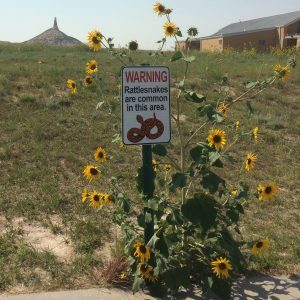 With the signs for snakes and insufficient footwear, I didn’t walk up to the cemetery. What is it now? No one knows. It’s still for sale, and its future is unclear. Should it be a National Monument? I go both ways on it. Four Corners is Navajo managed but has the tourism draw of complete silliness despite also being out of the way. 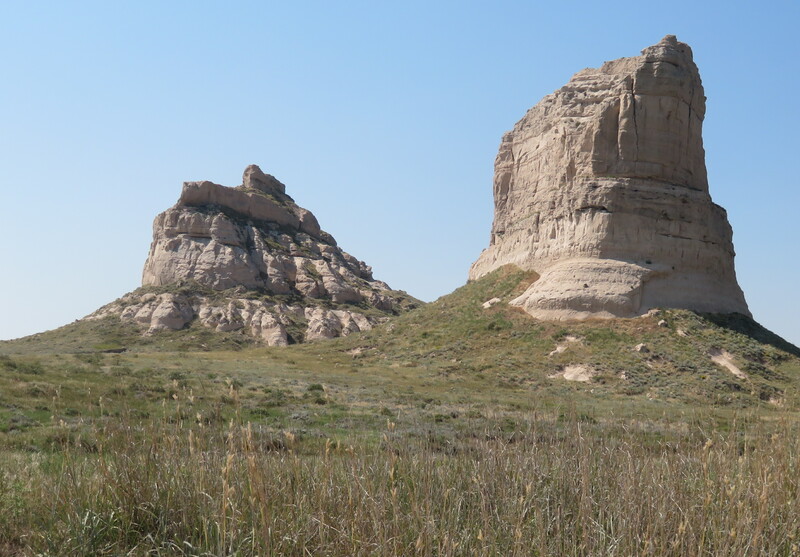 The southern portion of Badlands is co managed by the Oglala and National Parks and seems to work. 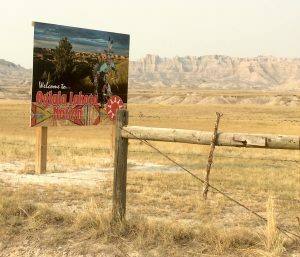 Would Wounded Knee be better serviced with National Parks funds? Probably – but I don’t see it happening under Trump when his administration is interested in contracting parks size. This isn’t an issue he’s going to be open minded to. It was with a lot weighing on my mind that I headed back south. I knew I’d be following the Oregon Trail and couldn’t do it as casually as I had back in Wyoming. In some ways, I was glad for Carhenge as an interlude to clear the brain. 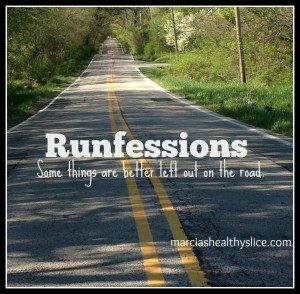 I was also grateful for a place to stop, stretch and walk about 200 miles into my drive as I didn’t feel Wounded Knee was right for that. Carhenge is silly, but fun and draws people to a region that benefits from increased tourism. The artwork is also beautiful. Alas the main road bypasses the town and I couldn’t find somewhere to eat so I got a snack and drove on. 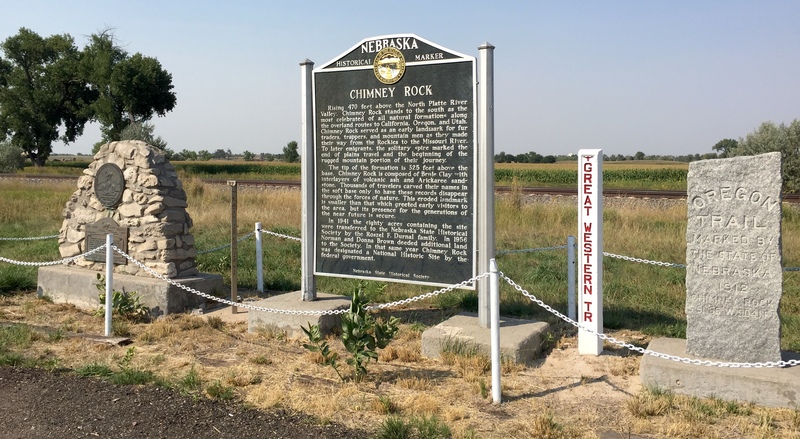 I’m not completely sure if it was the heat, hovering between 95 and 100 degrees throughout the day, or Wounded Knee weighing on me, but this definitely was not an in depth trip through the Oregon Trail locations. With the areas still being somewhat rural, it was easy to feel as if you were seeing these landmarks in the way the pioneers did, especially Jail and Courthouse Rocks from a long distance. (Would also have been true for Chimney Rock but for the smoke and haze). 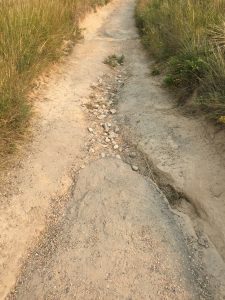 The heat is the primary reason I only really walked Scott’s Bluff (alongside the wagons!) and then did the driving route to the top. Chimney Rock had rattle snakes and I just wasn’t prepared for the heat. It left me with a lot of time to think about the intersection, especially as I saw how many trails and pioneers converged in this region. There is no doubt their exploration indirectly led to the violence at Little Bighorn and Wounded Knee. Does it make their actions wrong? No. It’s a big part of what made America America, but it bears thought and reflection. I think doing Wounded Knee and the Oregon Trail in one day make it even more poignant. As I came southwest, I thought about whether I could make Fort Laramie. In the end, I decided not to. It was too far out of the way and I likely wouldn’t get there before closing . I also wasn’t sure I could safely drive more than four hundred miles in a day. 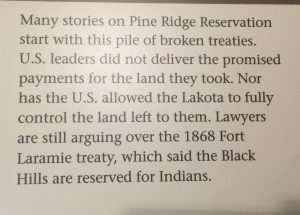 But I’m thinking about Fort Laramie and the events around it even weeks later, so I think that counts as going in some ways. I’ll continue to reflect on it absolutely. Oh, and I still need to read all of the books listed in the Charleston and OKC posts. Whoops. It’s important to talk about this stuff and I’m glad you have. Well done for facing up to the darker things and talking about them. Some excellent photos of course, too.